Extrinsic stains illustrated on the patient’s right side are typically produced by prolonged use of wine, coffee, tea, or tar from smoking. They can sometimes be reduced by polishing with prophylaxis paste, and can usually be eliminated entirely through tooth whitening. Stains on teeth are generally of two varieties, extrinsic and intrinsic. 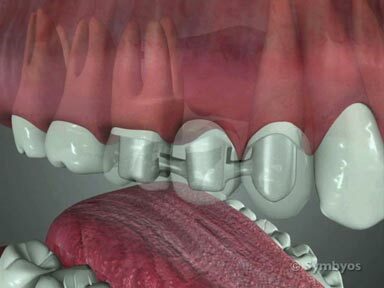 They are generally not considered to be an oral health issue. However, a single dark-colored tooth may indicate that the tooth is a dead tooth, particularly if there has been trauma to the tooth, or if it has had an infection. If you suspect that your tooth may be dead, it should be evaluated by a dentist who may perform what is known as “vital testing” to determine if the tooth requires root canal treatment. 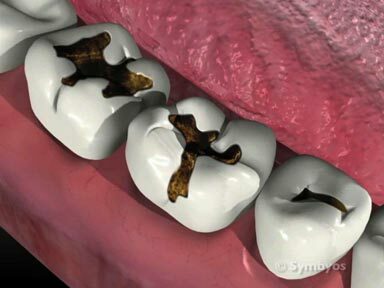 Extrinsic stains are generally occur on the surface of a tooth, and typically result from consumption of foods and beverages which contain pigments, such as coffee, tea, caramel coloring. Extrinsic stains can also result from smoking (tar stain). Most often, extrinsic stains can be polished and/or bleached away. Demineralization from ingestion of acidic foods, and poor oral hygiene can roughen tooth enamel and make it stain easier. It can also make the stains harder to remove. How does the dentist diagnose Extrinsic Stains? Extrinsic stains from coffee, tea, wine and food additives is easy for a dentist to diagnose by a visual examination of the teeth. How are Extrinsic Stains treated? 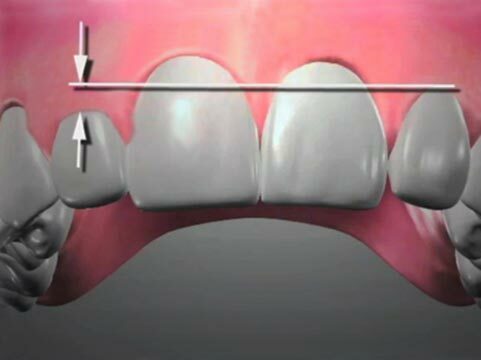 Removing extrinsic stains can be done through prophylaxis and/or tooth whitening (bleaching of the teeth). Frequently, a dentist will photograph a patient’s teeth before and after tooth whitening is performed to record the progress of whitening.